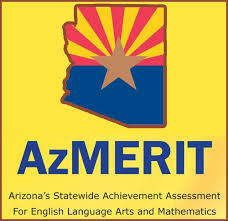 AzMerit testing is beginning all around our great state. Mohave Valley Junior High will begin to test on April 9th through the 18th. Due to limited computers, students will test on alternating days. First hour teachers will review where and when each student will be tested. is late to school, a make up test will be provided later in the day. All students must start and stop the same testing session at the same time. is not finished with the daily assessment by 11:55, they will be given lunch and allowed to continue in the library with an administrator. has an Individual Education Plan, they will be provided necessary accommodations. Please check with your child’s case manager for more details. is absent during their assessment day, the school will ensure he or she is tested the following day. We have until April 26th for make ups. is suspended within the testing window, the office will schedule a makeup time.